The Foo Fighters will perform at the Secret Solstice Festival in Reykjavik, Iceland on June 16 as part of a 2017 summer tour. The fourth edition of Iceland's midnight sun music festival runs June 16-18 with a lineup that includes The Prodigy, Richard Ashcroft, Dubfire and more. The Iceland stop currently marks the opening date and seventh overall of the Foo Fighters 2017 trek, ahead of festival appearances in Finland, Poland, Denmark, Belgium, Spain and Portugal – with more shows expected to be confirmed soon. 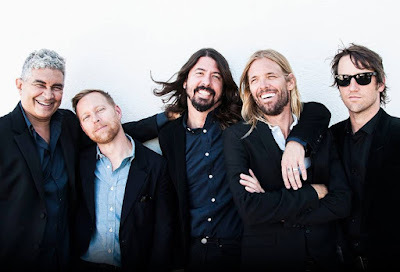 The group’s return from a planned hiatus follows extensive touring in support of 2014’s “Sonic Highways”, with drummer Taylor Hawkins revealing the band have not yet started writing their ninth record. “We’re still in a hunker down period right now,” Hawkins tells NME. “We know we have those shows next year, and we did a charity event for Dave’s kid’s school a couple of weeks ago that got a little bit of press. We’re fine, we love each other we’re all good. We’re just figuring out when the world’s ready for more Foo Fighters, we’re a family.